You can export all your products into a CSV (spreadsheet) file, which you can then edit on your computer and upload back into Veeqo with all the updates. E.g. you might want to bulk add all your barcodes for your products before listing to eBay or Amazon. You can also use the CSV bulk update tool to transfer stock from one location to another for all your inventory. 1. Export the latest version of your Veeqo Products. 2. Edit the data in your CSV file in Excel/OpenOffice or similar programs then save the file. We recommend that you save the file under a new name as this will provide you with a backup file should you make a mistake. Do not edit the product_id field as this defines which product you are updating. If you change this it may cause duplicates. If you are manually adding a new product to Veeqo via CSV then leave this field blank and Veeqo will auto assign a product id. If the product_id column is missing then Veeqo will check to see if the product exists already by comparing the SKU column. If you do not want to stock quantity to be updated then you can remove the total_qty column and it won't affect the stock level. 3. When you are ready Save the file under a new name then Import the new file to Veeqo. 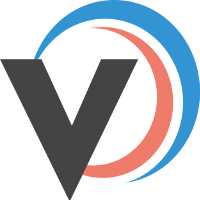 The Update Stock Stock In Bulk guide goes into more detail on how to manage large inventory updates in Veeqo. Each variant should be on its own line in the CSV file. Veeqo will recognise a new variant of a product if the product title already exists in Veeqo. So each of your variants should have exactly the same product title but different variant titles.